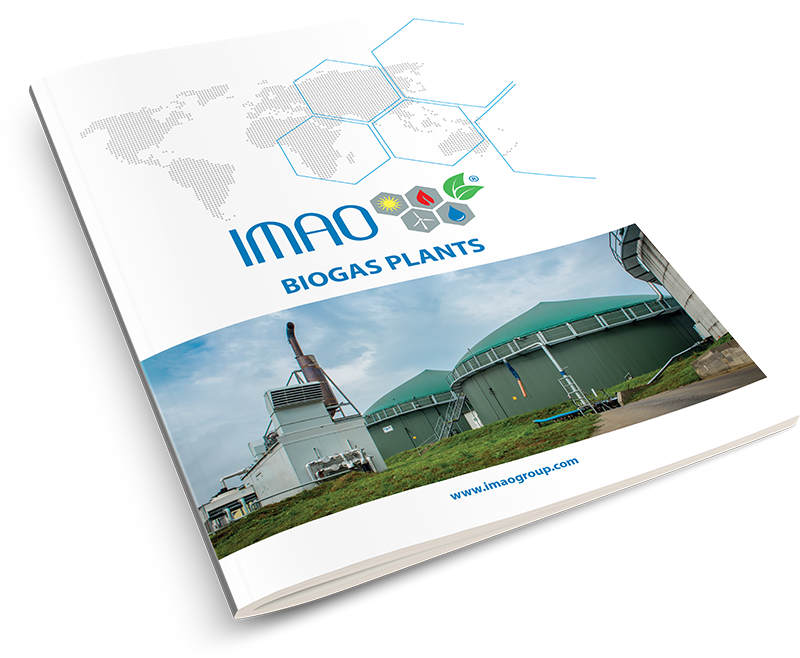 Biogas plants represent an efficient energy source with a positive contribution to the environment. IMAO is the market leader in the project design, installation and servicing of these systems. By converting of the organic waste into biogas not only the electricity can be produced but also heat for heating of residential and industrial buildings. Thanks to the enormously low emissions, the mentioned type of power plants belong among the greenest renewables, as currently are known. Biogas plants find their use not only at agricultural cooperatives. The advantage over solar and wind solutions is stability and especially the predictability of this energy source. In constantly changing market in the area of renewable resources, IMAO electric, s.r.o. is the leading supplier of complete solutions for PV plants and biogas stations in Slovakia. Our services does not include only design, but as well project documentation and project installation as well. As well, we offer to customer technical suport and maintenance during the operation of the mentioned project. IMAO electric, s.r.o. was founded in 2008 as a wholesaler and retailer of complete electro installation material and lightings. In 2009 it has established on the market of renewable energies together with its daughters company Osmont electroinstallations, s.r.o., mainly by installing of solar plants and roof systems. In 2012 IMAO became the general supplier of installations 10MW of biogas stations in Slovak republic. Biogas is a mixture of carbon dioxide and methane. It is formed when bacteria break down organic material in the absence of oxygen, also called anaerobic digestion, for examle in the digestive system of cattle. The possible uses of biogas are diverse. Cogeneration unit converts energetically rich biogas to electric current and heat. While the produced electric power is fed into the public network, the produced heat can be used for example for the heating of stables, residential buildings or industrial companies. An interesting alternative for biogas production is the conditioning of raw materials to natural gas quality and then feeding it into the public gas grid. With this method, the gas can be transported over long distances and used as needed. Suitable starting substrates for biogas production are among other things renewable resources like maize, grass or rye. Also other plants such as sunflowers or sugar beets can be used. Biogas can also be gained from solid and liquid manure. Even organic waste, for which there is otherwise no use, may be utilised. After the complete degradation a liquid, largely odour-neutral residue remains. This digestate is applied as a high-quality organic fertilizer for the fields. The nutrient cycle is completed. If you want to produce biogas successfully and profitably, you need an experienced partner. We are of the opinion that biogas plants should be planned, constructed and supported by a single source. This is why we offer our customers a complete service package to ensure the successful operation of the biogas plant. IIf the input material mainly consists of plant materials such as maize silage, biogas plants generally operate with a continuously operating two-stage process. These consist of digester, secondary digester and a residue storage tank. This ensures a high biological stability of the installation. For the bacteria the same environmental conditions are prevalent in the secondary digester as in the digester. Thus we can ensure a maximum yield of gas of the slower degradable input materials, because in this second stage up to 20% of the potential gas yield is obtained. Many operators of biogas plants use manure or dung in addition. It was developed a single-stage biogas plant which is specially adapted to the use of manure. This concept consists only of a digester and residue storage tank. Since manure digests more quickly than silage, the one-stage design without the secondary digester is an economically much more attractive concept. Due to the high proportion of manure, the substrate from the digester has only a very low residual gas potential, which does not justify the investment in the construction of a secondary fermenter.